Bountiful rivers and amazing natural landscapes grant the experience of rafting and/or kayaking in Albania a rush of adrenaline, alongside other pleasant emotions. As a result, these water sports are attracting increasingly more attention, especially in the two destinations which offer different rafting and kayaking packages: the Osumi Canyons and the Vjosa River. Two to three million years ago, water erosion created one of the most recognized natural wonders of Albania: the Osumi Canyons in Skrapar. At a length of about 14 km, they can easily be traversed today by rafting, offering explorers the possibility of paddling the rubber boats under the shadows of imposingly high rocks. The experience of rafting and the majesty of this place has earned it the status of the Albanian Colorado. At a width ranging from 4 to 35 meters, and slopes above 100 meters, rafting through the canyons may last 2 to 4 hours, depending on the river flow. The greenery on the slopes and the eight wonderful waterfalls cascading down from them make the journey truly spellbinding. The itinerary that begins in Hambull and continues up to Çorovodë, is filled with stops, necessary not only for relaxation but also for enjoying the extraordinary nature. The best-known waterfall which represents an obligatory stop for all those who come here is the Waterfall of the Lovers, which has long since become one of the area’s most popular postcards. Many legends enrich the reality of the area and it is thought that there are plenty of still-unexplored caves and nooks in the rocks. This wonderful and once-in-a –lifetime adventure is best experienced in groups of family and friends. Best period to try rafting: from February to June. As a result of its bountiful water and the extraordinary landscapes surrounding it, the crystal-clear Vjosa River offers the perfect conditions for an unforgettable rafting experience. The tours begin in Përmet and, following a training session for those lacking experience, the sailing which lasts 2 to 4 hours, commences. Along the course, the visitor will encounter canyons, small islands and various twists and turns, all of which create a truly authentic rafting experience. Usually, the packages for those who choose to practice water sports are suplemented with visits to other important destinations near Vjosa, as well as tastes of the area’s culinary traditions. Rafting in Vjosa starts in February and lasts until November, and similarly to Osum, all trips are conducted under the direction of specialized guides. The difficulty level is 3 or 4, which does not pose a high degree of risk. To learn more about the rafting in Vjosa or the packages provided just click on the attached link. Kayaking shares similar features with rafting, but it requires specific skills and a slightly different physical preparation. Here is a list of some of the most well-known kayaking tours offered by different companies. The Albania Rafting Group offers packages for interested individuals who can choose to use their own boat or the one provided by the company. One of the most interesting kayak tours organized in Albania is the one in Komani Lake, where you can explore for a full day or half day the wonderful nature of Komani, and admire the surrounding Albanian high mountains. In most of the Albanian beaches, you’ll find some kayak boats which you can hire and enjoy the crystalline waters. 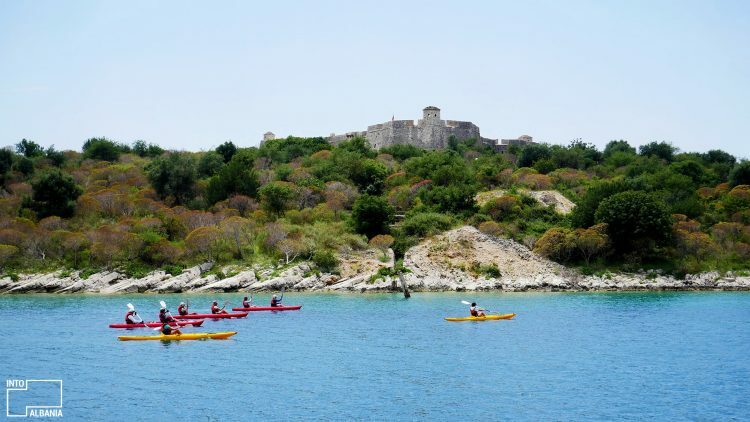 If you want to be part of a more professional tour experience, Albania Adventure offers an 8 day Kayaking Tour, where you’ll have the chance to discover some of the most unique and virgin beaches and bays of Albania.